In his thought-provoking keynote, How Technology Has Disrupted Sales & Marketing, Warren will be sharing with you how every business, entrepreneur, sales and marketing manager can use technology to help their business grow and be sustainable. Warren will share his online methodology and how building brand awareness, marketing to your niche target audience can decreasing the length of time in the sales cycle and building customer retention by having a mindset shift and using the latest technology. Warren’s Seminar is How To Do Your Social Media Marketing On The Move. In it you will Discover how to design a social media campaign while on the move, use the latest apps to help SAVE time, which is the best social networks to build a community and which is the best to drive organic traffic and maintain and build a social media presence, all while on the move. Facebook, Twitter, Pinterest, Instagram, and LinkedIn are the important social media platforms to any business — and while it’s easy to get sucked into any of them for hours at a stretch, you can manage them in much less time with the right apps and some planning. 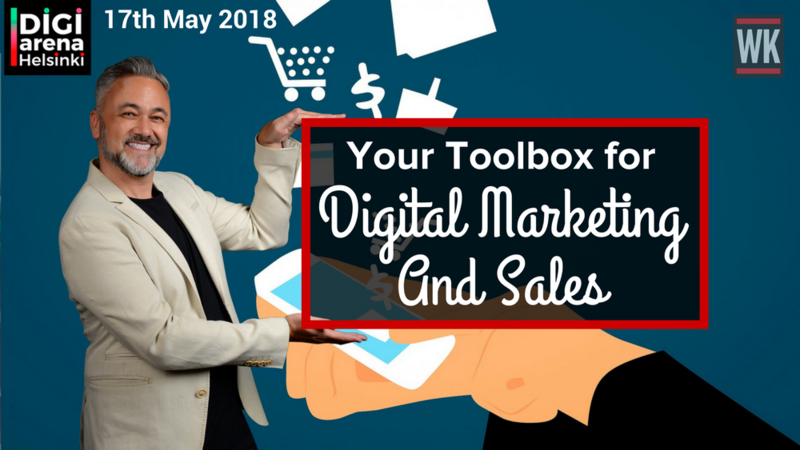 DigiArenaHelsinki is a sales and marketing event which will be held on Thursday 17 May 2018. DigiArenaHelsinki provides tools for creating, analyzing, measuring and developing digital marketing, with a view to productivity. The event brings together marketing and sales professionals and decision makers, sales managers, business and development executives, content creators, designers, developers and trendsetters – everyone who needs information about digital changes and opportunities in marketing and sales.